You have determined the need for a mature, effective security awareness training program to make sure your employees do not fall for phishing emails or social engineering attacks. As part of your overall security posture and to prevent a data breach or ransomware infection, your organization has decided that regular Phishing Security Tests are necessary. However, your current team is stretched as it is and you do not have the manpower to rapidly deploy program like this. If you have decided to outsource your Phishing Security Tests, KnowBe4 can serve as your fully outsourced Managed Phishing Service Provider (MPSP). KnowBe4 MPSP customers get one of KnowBe4’s phishing experts assigned to their account who will be their designated contact for the entire engagement. KnowBe4’s MPSP service is an effective way to deploy Phishing Security Tests (PST) and get the Phish-prone percentage of your employees down significantly. It unburdens your existing IT security team and does not require any capital expenditures. 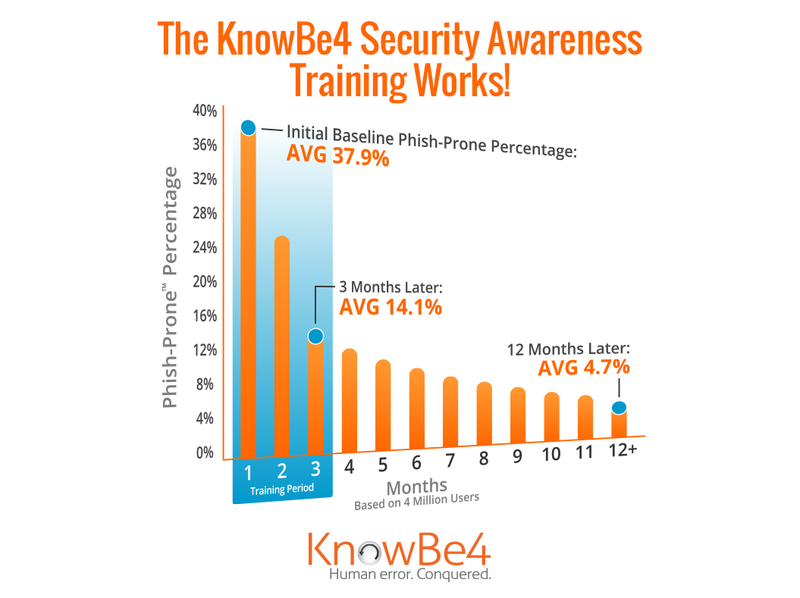 KnowBe4 will manage all aspects of the delivery of frequent simulated phishing attacks, the collection and correlation of data to support employee security awareness training, and the presentation of information in a concise format, allowing you to show the ROI of the project.